Observation decks on really tall buildings are certainly nothing new. Many of the world’s most famous skyscrapers have them — the Petronas Twin Towers in Kuala Lumpur, Malaysia are actually connected by the SkyBridge, allowing visitors to walk between the two gigantic twin structures. But these six skyscrapers take the whole observation deck experiences a step further with glass-bottomed viewing platforms. Because if being hundreds of feet above the ground wasn’t terrifying enough, now you can stare down into the abyss and hope that the floor holds (we promise it will). Make it up to the observation deck at the Lotte World Tower and you’ll be looking down on one of Asia’s most vibrant cities from 1,640 feet up — certainly not a chump’s climb. Fortunately, the elevator ride is the fastest in the world, putting you staring down in awe in less than one minute. Should you get a bit frenzied and need to relax, have a dip in the adjacent swimming pool. You can then re-awaken yourself with a stop by the in-house amusement park on the way back down. 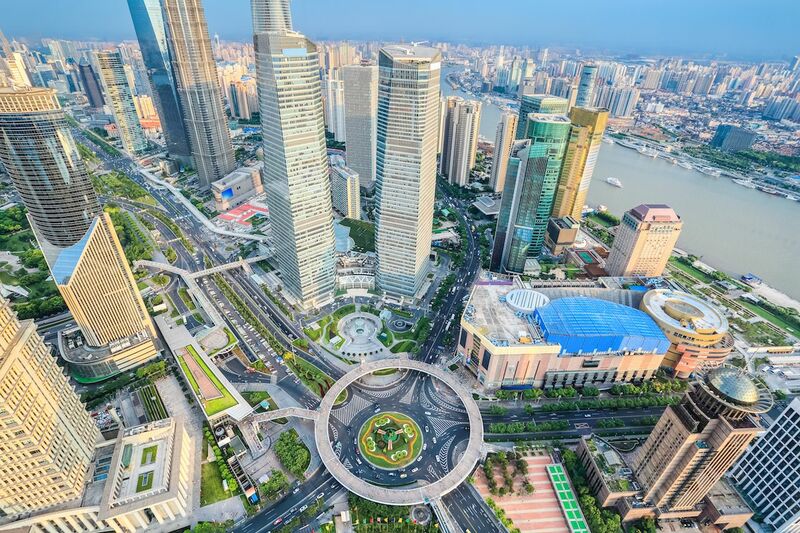 One hundred floors and 1,555 feet up, the observation deck at the Shanghai World Financial Center is nothing short of breathtaking. To make things more exciting, the Observatory regularly hosts special themed events, including the annual Sky Marathon, a vertical race where runners actually climb up 2726 stairs. 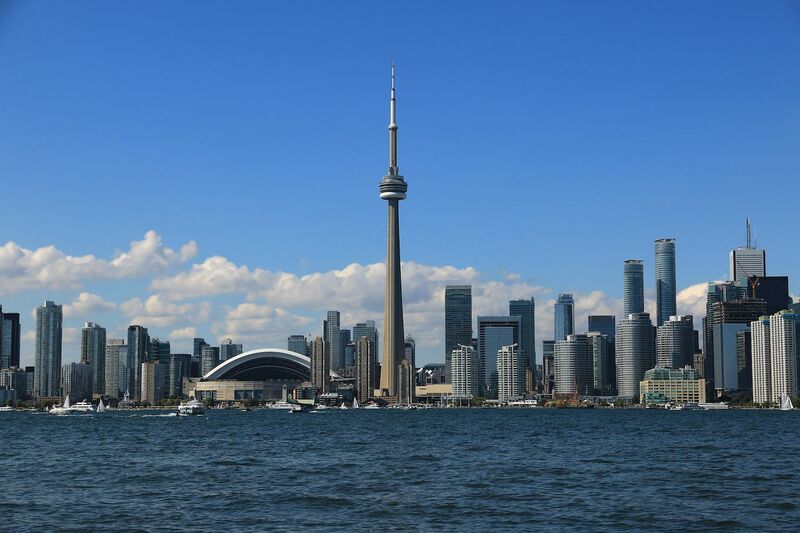 The CN Tower’s 256-square-foot glass floor observation deck sits at 1,122 feet above Toronto. Views stretch out across the city and the glass floor is accompanied by an outdoor terrace. 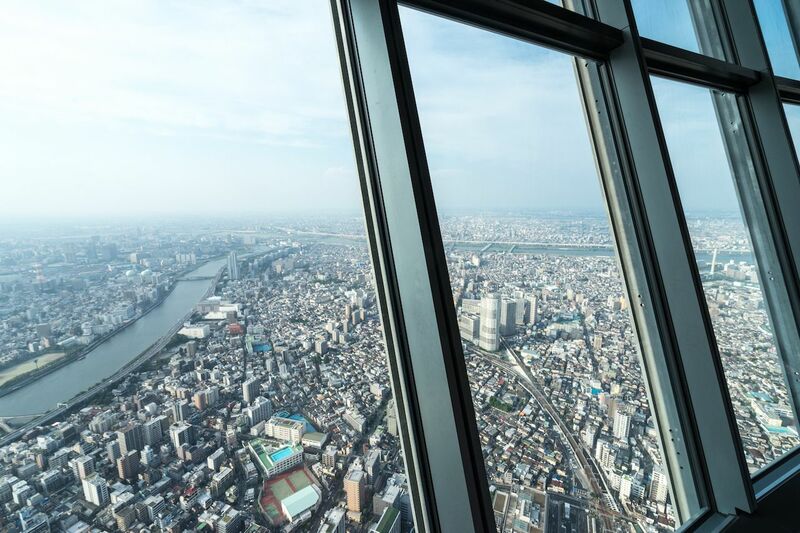 As an added bonus, you’ll ride up the highest glass-bottomed elevator anywhere in the world, allowing for a chance to warm up before reaching the observation deck itself. 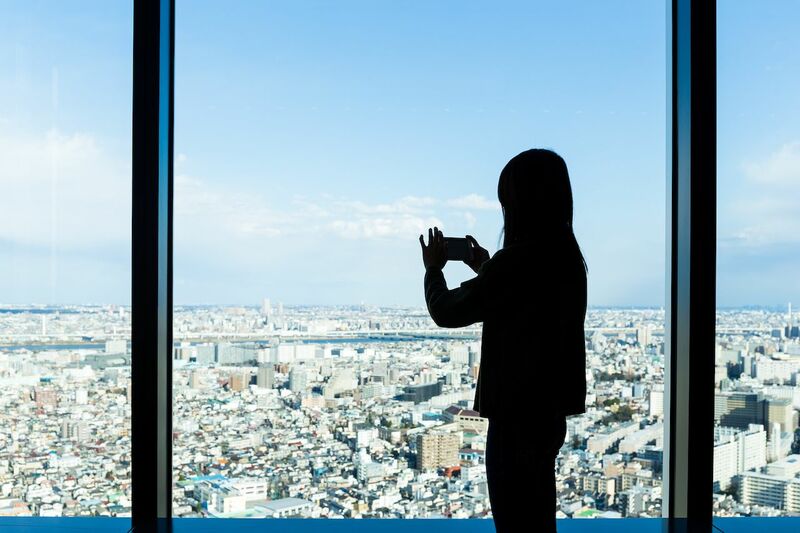 Take in the world’s largest city and Mount Fuji beyond it from the glass-bottomed portal of the Tokyo Skytree. 1,148 feet above the city, you’ll want to kneel down for the best view — the glass-bottomed portion is only a small section of the floor. 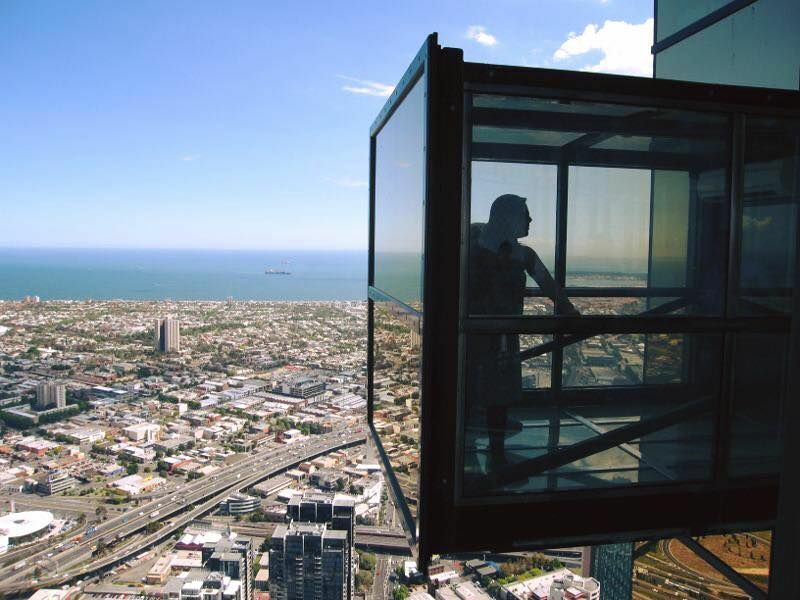 At 980 feet up, you’ll look out across Melbourne from the glass-bottomed floor of the tallest residential structure in the Southern Hemisphere. You’ll have to pay a bit extra to step out to The Edge itself, as the rest of the observation deck merely offers a 360-degree panoramic view of the city. 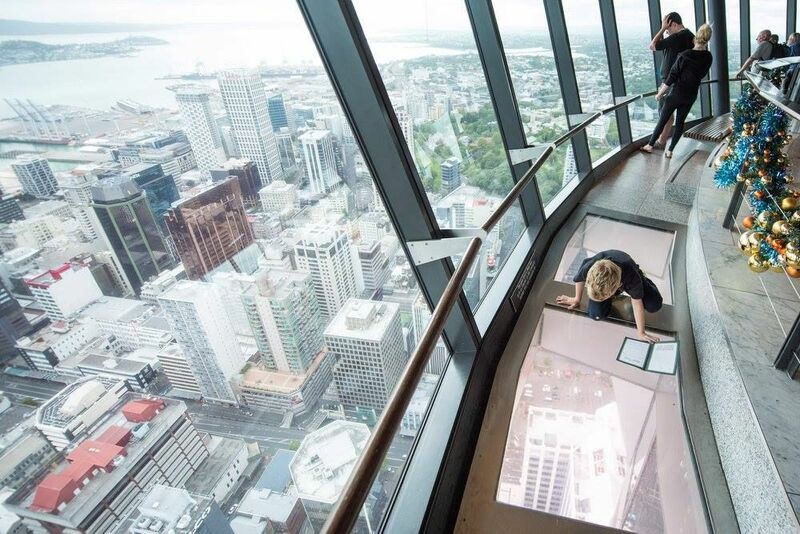 Sky Tower’s glass-bottomed observation deck is the most nerve-wracking of any down south. The straight-down views can be overwhelming, but the building’s planners anticipated this and installed touch-screen monitors equipped with cameras to explain what exactly it is you’re looking at, if you need some help orienting yourself post-vertigo attack. 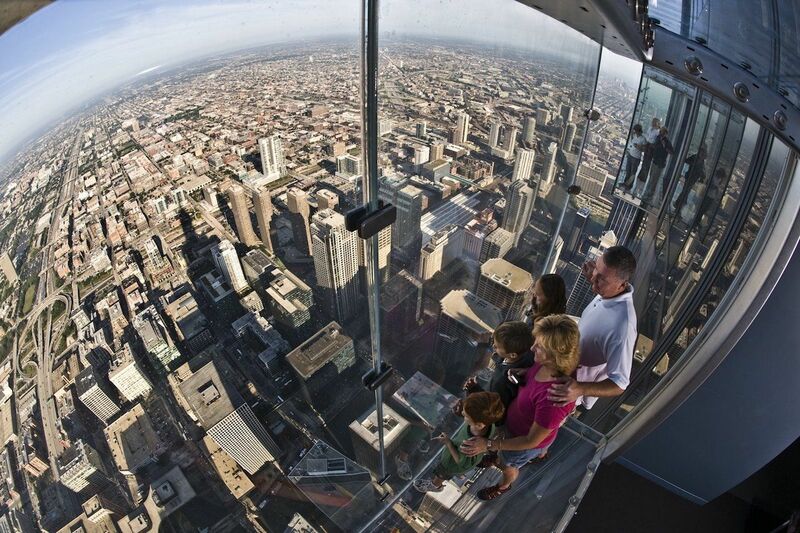 Chicago offers multiple high-up options for taking in the city’s skyline, but none scarier than Skydeck at the Willis Tower. The Ledge and its glass bottom protrude four feet beyond the building’s 103rd floor, providing views across four states at once.